In the Premium Shop of the brand DT Spare Parts, end users have been rewarded for their brand loyalty since six months already. 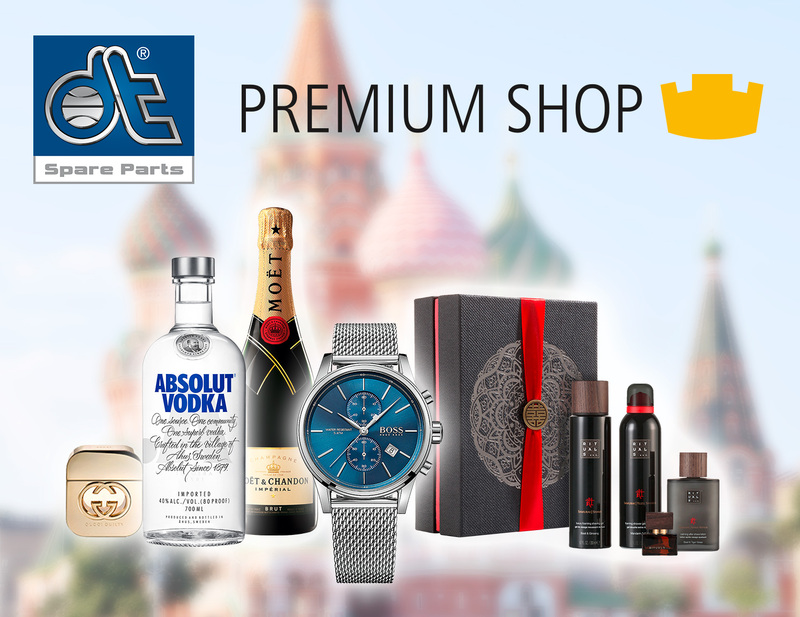 The platform, which has been available in five languages so far, reacts to the positive response and further enhances its user-friendliness: The DT Spare Parts Premium Shop is now also online in Russian and celebrates this with a special promotion. The brand DT Spare Parts welcomes all Russian-speaking participants in the Premium Shop and celebrates this from 04.02. - 17.02.2019 with a special promotion, in which attractive special premiums are raffled. All new and existing shop participants, who enter at least one crown code within the promotion period, take part in the raffle automatically. The more codes being entered, the higher is the chance of winning. Weekly, five special premiums are raffled ranging from spirits, perfume, jewellery and chronograph to the typical Russian Matryoshka. So it’s worth participating! The principle is still simple: With the purchase of DT Spare Parts products, crown codes are obtained that are visible on the article label of the packaging. Behind each crown code there is a certain quantity of crowns, which can be redeemed in the Premium Shop at premiumshop.dt-spareparts.com after registration at no charge. The collected crowns can be redeemed in attractive premiums. Small as well as big dreams can be fulfilled very easily: The premium assortment ranges from rechargeable drillers, household appliances to travel vouchers.